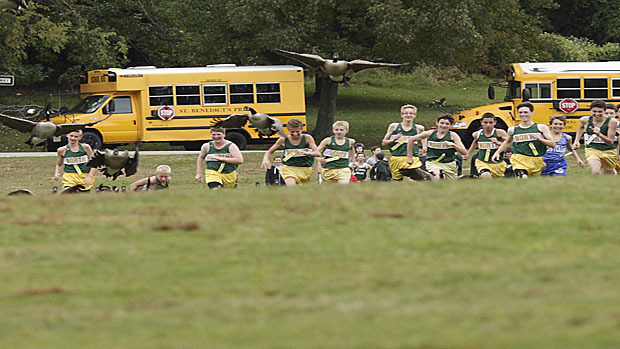 Last year Dave Folsom captured this shot of the North Hunterdon boys chasing the wild geese at the Passaic Co. Coaches Invite. Just like the NHHS harriers chasing the geese that day, thousands of NJ High School runners will be chasing the prize again this year. Sectionals > Groups > Meet of Champions. Using average times run last year over 5000 meters, we’ll follow the possibilities through to what might happen at the big dance in November. Obviously, this is more art than science. It is based solely on the numbers and there are always variables. Starting with the Group 1 Sectional Meets, let’s take a look. I’m having so much fun that I plan on finishing the Public School Virtual Sectionals tonight so I can move along to Groups. Anyone ever compare these “predictions” to actual outcome? 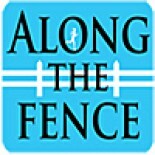 I appreciate the work involved and I hope it proves semi valid. These are not meant as predictions. They are only a virtual / “what if” scenario based on current data. I refer back to this and a ton of other information throughout the season to see what the “surprises” are. It could be my browser/iPhone, but I am unable to pull up SJG4. Thanks for the heads up. Broken link, fixed now. This is exceptional raw data. One interesting variable is your rankings has Freehold 6th in Central Jersey Group 4. One national ranking has Freehold #13 nationally. Thanks very much. I appreciate your comments. Overall, this is really not a ranking, but rather a remix of data from LY. There are a ton of variables that the raw data does not necessarily reveal. Incoming Frosh, transfers to name a couple, and as in the case of Freehold Twp, talented runners who previously played soccer in the Fall. I pull together this kind of stuff to get the conversations going for my favorite season of the year. My State preseason rankings will be posted right around Labor Day. This entry was posted on August 1, 2013 by Patrick Montferrat in 2013 XC.